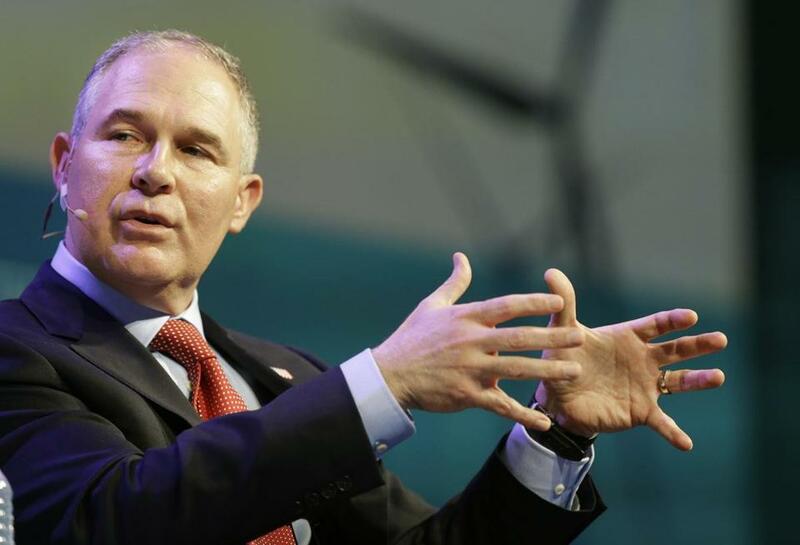 Environmental Protection Agency administrator Scott Pruitt said on CNBC&apos;s Squawk Box that he does not believe that carbon dioxide is a primary contributor to global warming. It was an accurate and judicious answer, so naturally it sent climate alarmists into paroxysms of condemnation. 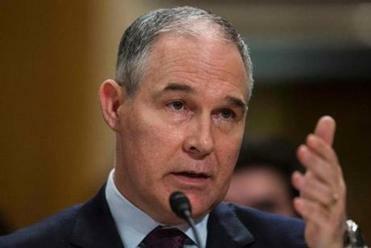 The Washington Post slammed Pruitt as a “denier” driven by “unreason.” Senator Brian Schatz of Hawaii called Pruitt’s views “extreme” and “irresponsible” — proof of his unfitness to head the EPA. Gina McCarthy, who ran the agency under President Obama, bewailed the danger global warming poses “to all of us who call Earth home,” and said she couldn’t “imagine what additional information [Pruitt] might want from scientists” in order to understand that. Yet for all the hyperventilating, Pruitt’s answer to the question he was asked — whether carbon dioxide is the climate’s “primary control knob” — was entirely sound. “We don’t know that yet,” he said. We don’t. CO2 is certainly a heat-trapping greenhouse gas, but hardly the primary one: Water vapor accounts for about 95 percent of greenhouse gases. By contrast, carbon dioxide is only a trace component in the atmosphere: about 400 ppm (parts per million), or 0.04 percent. Moreover, its warming impact decreases sharply after the first 20 or 30 ppm. Adding more CO2 molecules to the atmosphere is like painting over a red wall with white paint — the first coat does most of the work of concealing the red. A second coat of paint has much less of an effect, while adding a third or fourth coat has almost no impact at all. Globe Opinion's must-reads, delivered to you every Sunday-Friday. There is a popular theory that atmospheric CO2 amplifies the creation of water vapor, thereby increasing warming through a “positive feedback loop.” But that theory so far is mostly speculative; climate projections using models based on it have consistently failed, nearly always predicting far more warming than has occurred. It should go without saying that if scientists cannot yet make accurate predictions about future climate change, then their understanding of climate science remains highly incomplete. Scott Pruitt’s statement is not consistent with scientific research on climate change, including decades of research by federal agencies. Earth’s climate system is unfathomably complex. It is affected by innumerable interacting variables, atmospheric CO2 levels being just one. The more variables there are in any system or train of events, the lower the probability of all of them coming to pass. Your odds of correctly guessing the outcome of a flipped coin are 1 in 2, but your odds of guessing correctly twice in a row are only 1 in 4 — i.e., ½ x ½ Extending your winning streak to a third guess is even less probable: just 1 in 8. Apply that approach to climate change, and it becomes clear why the best response to the alarmists’ frantic predictions is a healthy skepticism. The list of variables that shape climate includes cloud formation, topography, altitude, proximity to the equator, plate tectonics, sunspot cycles, volcanic activity, expansion or contraction of sea ice, conversion of land to agriculture, deforestation, reforestation, direction of winds, soil quality, El Niño and La Niña ocean cycles, prevalence of aerosols (airborne soot, dust, and salt) — and, of course, atmospheric greenhouse gases, both natural and manmade. A comprehensive list would run to hundreds, if not thousands, of elements, none of which scientists would claim to understand with absolute precision. But for the sake of argument, say there are merely 15 variables involved in predicting global climate change, and assume that climatologists have mastered each one to a near-perfect accuracy of 95 percent. What are the odds that a climate model built on a system that simple would be reliable? Less than 50/50. (Multiplying .95 by itself 15 times yields 46.3 percent.) Is it any surprise that climate-change predictions in the real world — where the complexities are exponentially greater and the exactitude of knowledge much less — have such a poor track record? Pruitt got it right: Measuring human impacts on climate is indeed “very challenging.” The science is far from settled. That is why calls to radically reduce carbon emissions are so irresponsible — and why dire warnings of what will happen if we don’t are little better than reckless fearmongering. Jeff Jacoby can be reached at jacoby@globe.com.